In this unique Armchair volume, noted church historians Justo and Catherine Gonzalez introduce readers to important early church figures whose teachings were denounced by the church as heresies. 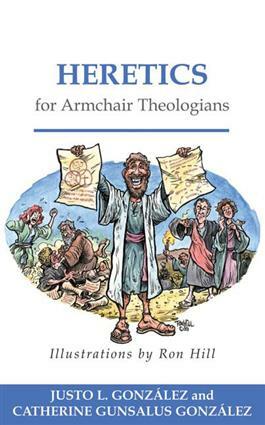 Instructional for what they taught and for revealing what the church wished to safeguard and uphold, these "heretics," including Marcion, Arius, Nestorius, and Pelagius, are engagingly presented in their contexts through a clear and accessible text that is highlighted by the humorous illustrations of Ron Hill. Heretics for Armchair Theologians is an enjoyable way to learn about the church's early life and beliefs.